An Egyptian lawyer has been arrested in the city of Alexandria after he donned a “yellow vest”, the symbol of protest in France, but banned in Egypt. 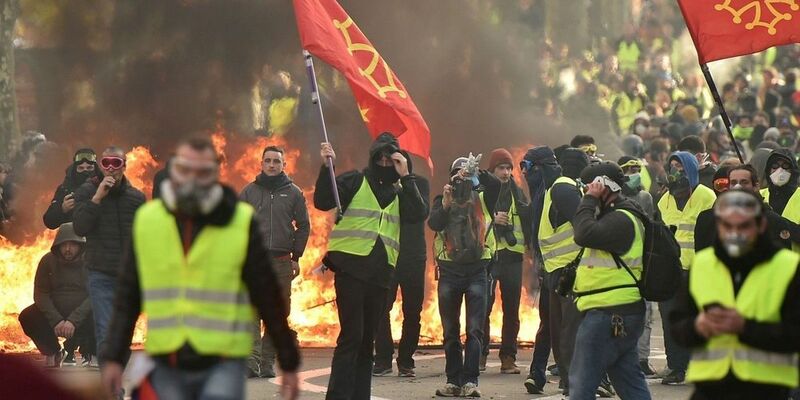 Mohammed Ramadan has been detained for 15 days following a decision by a prosecutor after he was photographed wearing a yellow vest in solidarity with protesters in France. 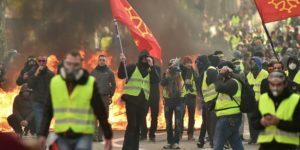 French protesters, wearing yellow vests, took to the streets and blocked highways to denounce high fuel prices and their dwindling purchase power. Egyptian authorities have prohibited the sale of the industrial equipment for fear that a copycat of the French protests could spark a new revolution, mainly within a month of marking the 8th anniversary of the ouster of former longtime ruler, Hosni Mubarak. Ramadan, according to activist Mahienour El Masry is accused of “spreading false news” and “spreading the ideology of a terrorist group”. Current President Fattah al-Sisi and his regime have restricted protests in a move to clampdown on dissent and revolt. Since ascending to power in 2013 in a coup before being elected in 2014, al-Sisi has arrested his opponents and handed his staunch critics, the Muslim Brotherhood members, heavy jail sentences. Written by: KanelkaTagba on December 12, 2018. Posted by KanelkaTagba on Dec 12 2018. Filed under Headlines, World News. You can follow any responses to this entry through the RSS 2.0. Both comments and pings are currently closed.